Perfect addition for any young fan! Support your Kansas Jayhawks in this Jayhawks Youth Red Short Sleeve Fashion Tee! 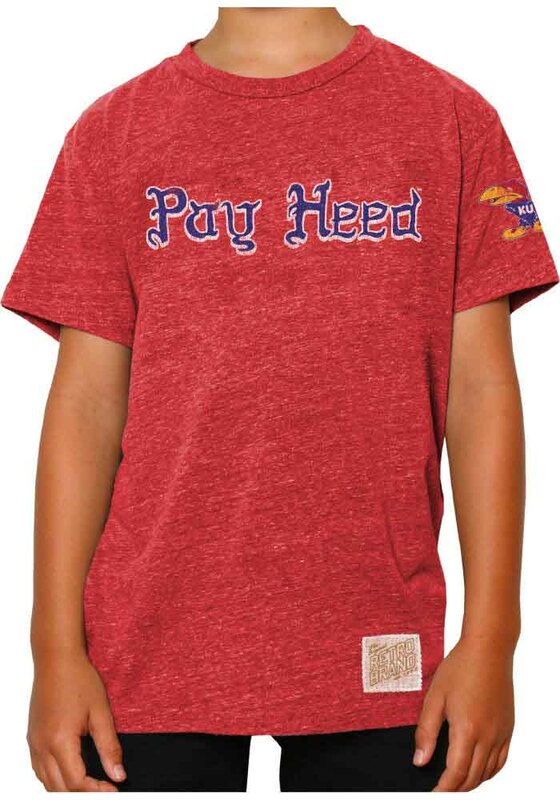 This Pay Heed Fashion T-Shirt features a screen print wordmark on center chest with a team graphic on left arm. Be ready to shout "Rock Chalk Jayhawk" when you wear this KU Jayhawks Short Sleeve Fashion T-Shirt in the stadium or on the street.